Russia's hybrid military forces attacked Ukrainian army positions in Donbas 22 times in the past 24 hours, with two Ukrainian soldiers reported as killed in action (KIA) and three as wounded in action (WIA), according to the press service of the Anti-Terrorist Operation (ATO) Headquarters. The Russian-backed illegal armed groups used weapons eight times in the Mariupol sector. In particular, the occupiers fired 82mm mortars at the Ukrainian fortified positions near the village of Vodiane in the evening. Shortly after, the invaders used hand-held anti-tank grenade launchers there. The militants also opened fire from cannons of infantry fighting vehicles not far from the village of Shyrokyne. Furthermore, the Ukrainian positions near the villages of Novotroyitske, Hnutove, Lebedynske and Pavlopil came under fire from small arms and heavy machine guns. "Yesterday, we reported dense artillery shelling of the ATO positions near Hnutove in the morning. We found out during the day that the invaders had also used 122mm Grad-P portable rocket launchers there," the headquarters said. Read alsoUkraine reports 1 KIA, 1 WIA in ATO July 3"The Donetsk sector. After enemy sniper groups became active along the Svitlodarska Duha bulge, the militants violated the ceasefire in the southern outskirts of the town of Avdiyivka, and near the villages of Opytne and Maiorsk last night, using only infantry weapons, namely grenade launchers of various modifications, heavy machine guns and small arms. In total, seven enemy attacks were recorded in this direction in the last day," the press service said. In the Luhansk sector, seven instances of enemy shelling were recorded as well. The enemy did not use artillery systems along this stretch of the contact line yesterday. 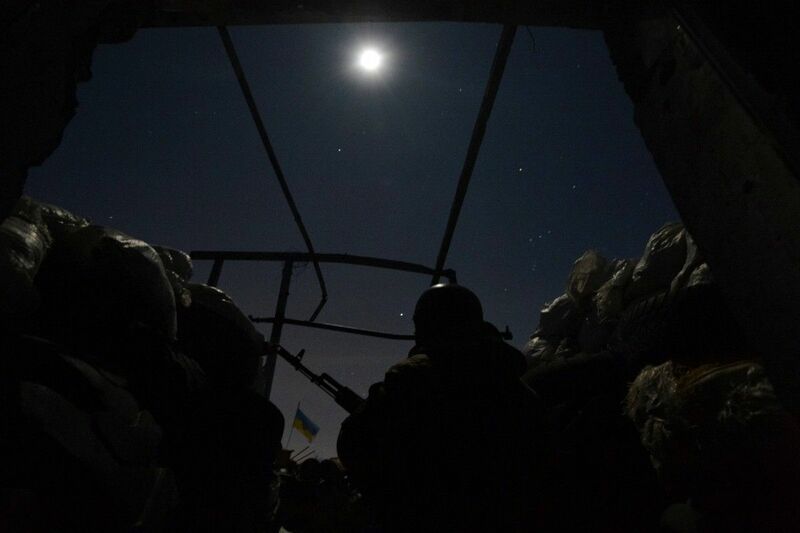 But again, the Ukrainian fortified positions near the villages of Novozvanivka, Stanytsia Luhanska, Donetskiy, Zhovte and Valuiske were attacked with the use of grenade launchers and small arms. Moreover, an enemy sniper was active near the village of Novotoshkivske before dawn. Ukrainian soldiers had to fire back in some cases when there was a threat to their life, the ATO HQ said.